The first demand of the Constitution in 1895, Bal Gangadhar Tilak, “Swaraj Bill” movement launched by the Home Rule League in 0.1916 from the 0.1922 Agrejo Gyakjismen Swaraj, Gandhi sought to rule the Constituent Assembly and the Constitution demands Excellent manner and said that India would free the Indian Constitution in accordance with the wishes of the Indian people Jaagakagst created in 1928, the Nehru report. Headed by Pt. Motilal Nehru said. Its head office was in Bombay. ndia’s first written constitution was made. 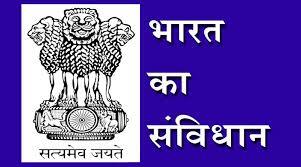 All India Federation of the fundamental rights of minorities, rights holders and kept under Dominiam State. The largest opposition Muslim League and the rulers of princely states. Jawahar Lal Nehru in 1929 was headed by the Congress Adivesn Lahore. Which demanded full independence. Given the chaos of governance in India by the then Viceroy, Lord Wavell party meeting held in Shimla in June 1945 has not reached any conclusion. The conference ‘Simla Conference’ or known Wavell Plan Hakmarc 19 466 were in the Cabinet Mission to India. Its Chairman, Sir Lawrence Pathik ‘had the two other members of the head and a Stefrd Krims. V. Alekgendr sent back to India. The Commission attempted to drive the ruleOn the composition of the Constituent Assembly on the basis of these recommendations is as following. No. 389 was set in the Constituent Assembly Members. (2) Chief of commissionerate – 4 members. (3)Princely states – 93 members were kept. (4) British India and was elected Chief Commissioner areas. (5) 10 million population of each member will be selected at 1. 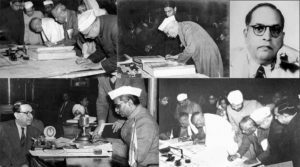 (1)The first meeting of the Constituent Assembly held on December 9, 1946. Schchidanand was temporarily headed by Sinha. (2)The second meeting was held on December 11, 1946. Whose president Dr permanently. Rajendra Prasad (who was the first President of India) was created. At the meeting, Vice President h. C. The Constitutional Advisory B. Mukherjee. N. Rao was created.